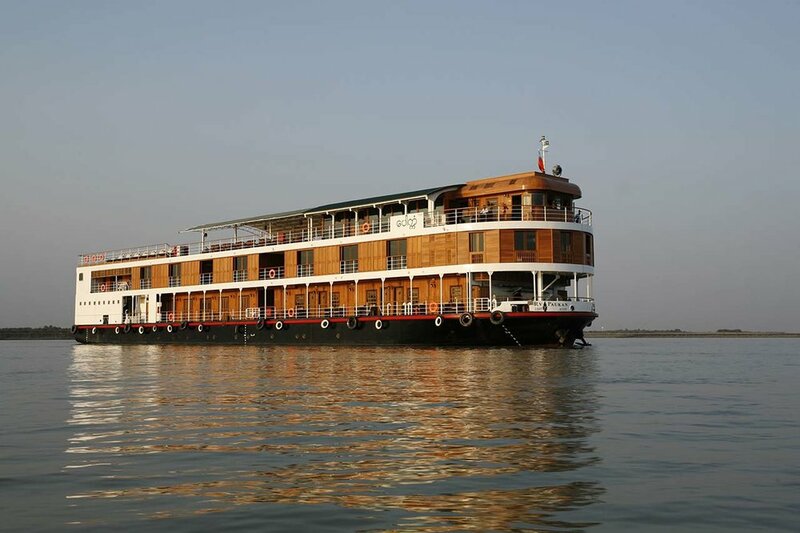 A large luxury, traditional teak-wood riverboat on the Irrawaddy River in Myanmar (Burma). The Paukan 2007 was built in 2007 at the Myanmar Shipyards in Yangon. The Irrawaddy River and its dockyards were commented upon over two hundred years ago as "the most favorable river in the world for naval architecture" by the first British envoy to Myanmar Captain Michael Symes of His Britannic Majesty's 7th Regiment who arrived in Yangon in February of 1795.. The lovely Paukan 2007 is a boutique hotel on the river, beautifully furnished with a unique combination of modern and traditional motifs. The timber-walled cabins are furnished with colonial style cupboards, dresser, and doors. The single or double beds are proper and comfortable ones and not mere bunks, enough room for 55 passengers who will be looked after by a 30-member crew. For luxury-living, the Paukan 2007 has suites, deluxe and superior cabins as well as singles for guests. 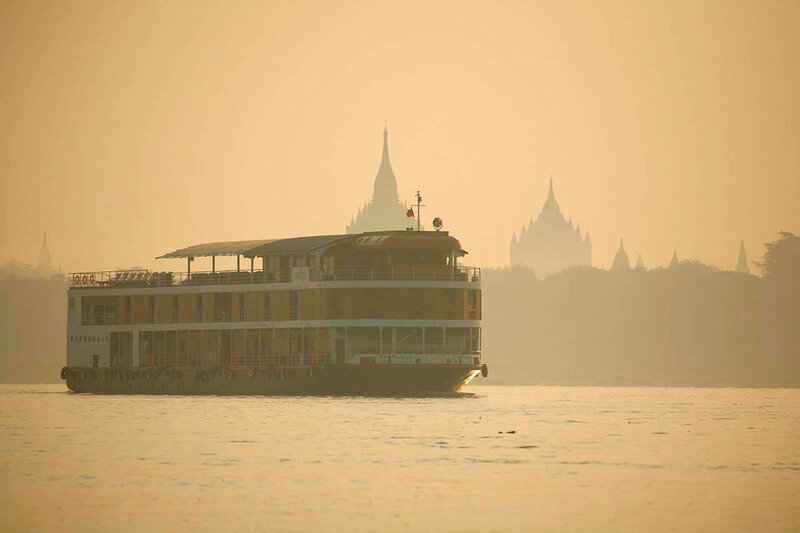 There are two massage rooms on the lower deck offering traditional Myanmar massage designed to give soothing relaxation. The sun deck is half covered and half open, allowing you to sunbathe or relax in the shade while taking in the many sights of the Irrawaddy River. 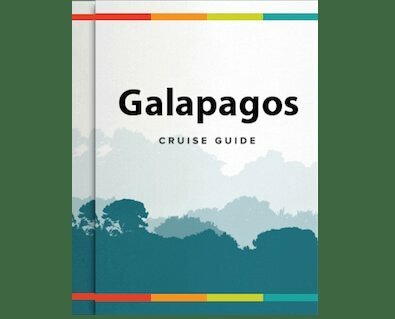 A large air-conditioned indoor lounge can also be found on the sun deck with a full-size bar, large exterior windows, and a large seating area. 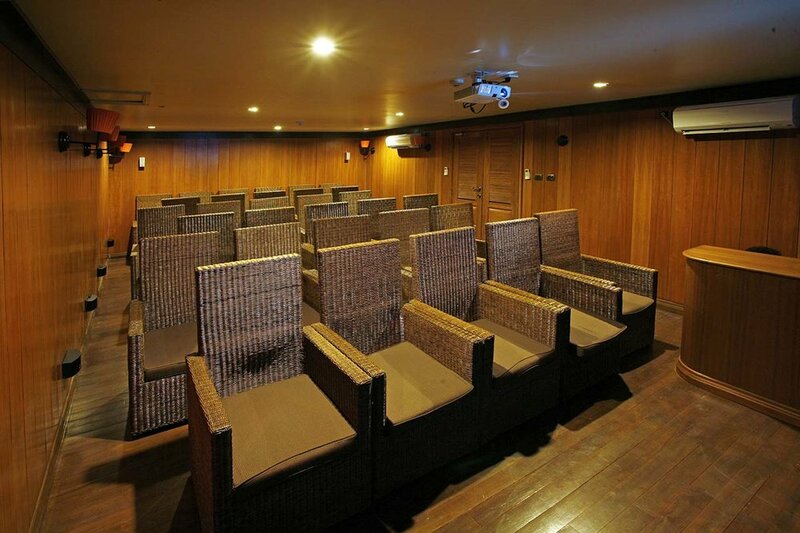 The upper deck features a lecture / movie room with LCD projector. Lunch and dinner are a blend of Western and Myanmar cuisine prepared with care for freshness and taste by experienced local chefs. 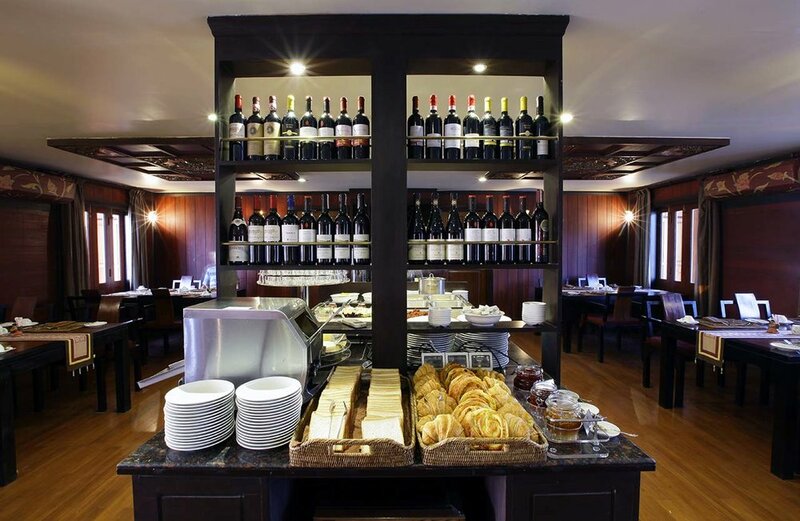 Breakfast and lunch are buffet followed by a served dinner.